Content questions are used to ask about the identify of a person, an object, a time, a location, or a quantity, or to seek an explanation or process. In English, we can ask questions using “Who, What, When, How, Where, Why”. Today we are going to learn how to ask these type of questions in Chinese. 1. Who’s at the door? tā zài gēn shuí shuō huà ? 2. What is your ideal in life? nǐ de lǐ xiǎng shì shén me ? nǐ jǐ shí huí lái ? 2. When is your vacation? nǐ men shén me shí hou fàng jià ? 1. How should I address her? wǒ gāi zěn me chēng hu tā ? 2. How did you spend your holiday? jià qī guò de zěn yàng ? nǐ zhù zài nǎ lǐ ? 2. Where is he hiding? tā cáng zài nǎ er ? nǐ shì shén me dì fang de rén ? 1. Why were you late? 2. Why must he do it that way? wèi shén me tā yào nà yàng zuò ? We have learnt most of the characters for these content questions before. Try to practice how to write those characters. 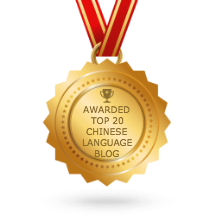 哪儿 means where, and the pinyin is nǎr or nǎ	er if you split them.